Mine just one mineral block and get all the vein. 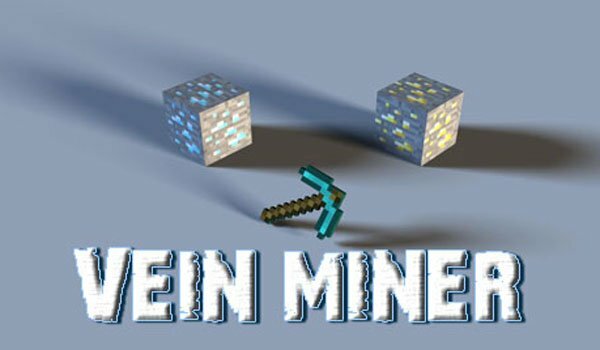 Vein Miner 1.8 and 1.7.10 is a mod that will make our life easier allowing us to collect minerals in a faster way. This mod help mine veins of ores by mining blocks of the same type in a chain reaction, getting the blocks at the end. This mod adds the same function as Treecapitator has, but instead of collecting wood, allows us to quickly collect minerals. How to install Vein Miner Mod for Minecraft 1.8 and 1.7.10?